Evolution. In launching the Vostro V130, Dell started a slim and mobile entry-level business series, which should also convince in terms of design. Powerful Intel Sandy Bridge CPUs succeed the first tries with ULV processors. The case has been amended too. As the name suggests, the Vostro V131 is a refresh of the Dell Vostro V130 (reviewed by us), whereby the case has been slightly changed and the inside has been completely renewed. At first glance, the V131 appears to look exactly like its predecessor. 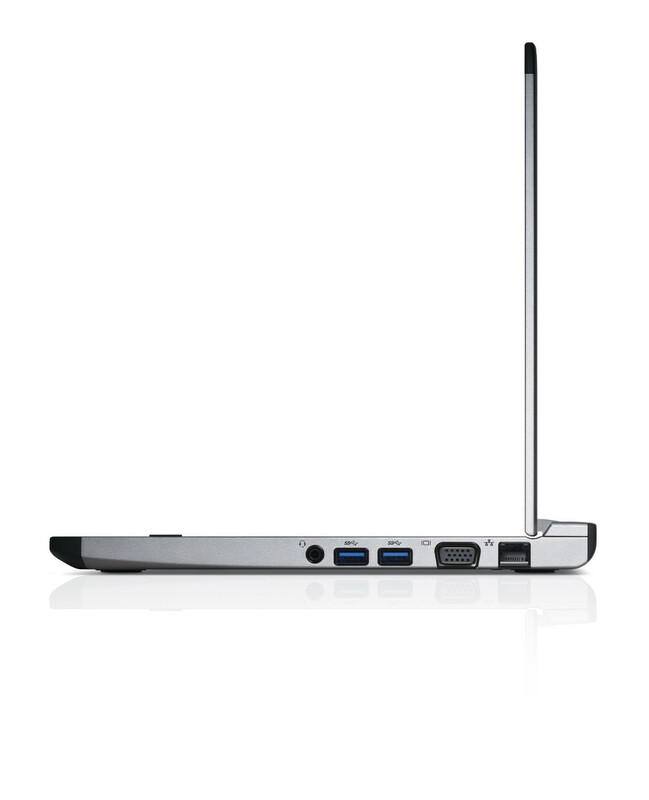 At a closer look, you'll find that the connectivity (new: USB 3.0) and the bottom side have been altered. The keyboard lights up in the dark. However, you have to order this option for an extra charge. The workmanship of the Vostro V131 is still on a par with the high level of its predecessor. In our first review, the only point of critique was the too low tension of the hinges. The specs of the display stay the same. The Vostro V131 houses a 13.3 inch display with matt surface. However, according to our measurements, the brightness is lower than that of its predecessor. In particular, the outdoor capability suffers from this. 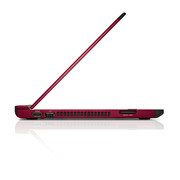 The laptop supports up to 8 GB of RAM in two DDR3 1333 MHz modules. The entry-level processor offered is the Intel Celeron 847 ULV CPU with a clock frequency of 1.1 GHz. A significant performance gain is possible by selecting an Intel Core i3 2310M or an i5-2410M processor. However, not only the choice of the CPU can bring about large performance reserves. Dell now also offers the user to build in fast Solid State Drives (128GB) ex factory. Contrary to conventional 7200 rpm hard drives, which are offered as alternatives, they not only reduce boot and launch times of programs, but also work silently and are shock resistant. While the decision to offer the Vostros only with 7200 rpm hard drives is appreciated when considering performance, the system noise deteriorates. The clearly audible hard drive's noise is always present and drowns out the fan. In this aspect, the results so far also speak in favor of an SSD. According to Dell, the non-removable battery of the Vostro V130 was an important point of customer complaint. Now, it is a thing of the past and the laptop gets a standard 6-cell battery with a capacity of 65 Wh (in comparison: Vostro V130 - 30 Wh). You will have to take into account that the battery protrudes on the laptop's bottom and affects the notebook's slimmness. It also adds a bit to the total weight (V130: 1.6 kg vs. V131: 1.8 kg). In return, the capacity has been more than doubled. A 4-cell battery should also be offered for the Vostro, but, not in Europe for the time being. We could surf the Internet via WLAN for nearly 8 hours with the 6-cell battery. This would be a multiplication of the V130's results with a 30Wh battery. Further tests will follow. Contrary to the V130, a maintenance cover that can be easily opened allows access to the RAM modules and the hard drive. At first glance, the published entry-level prices seem attractive. 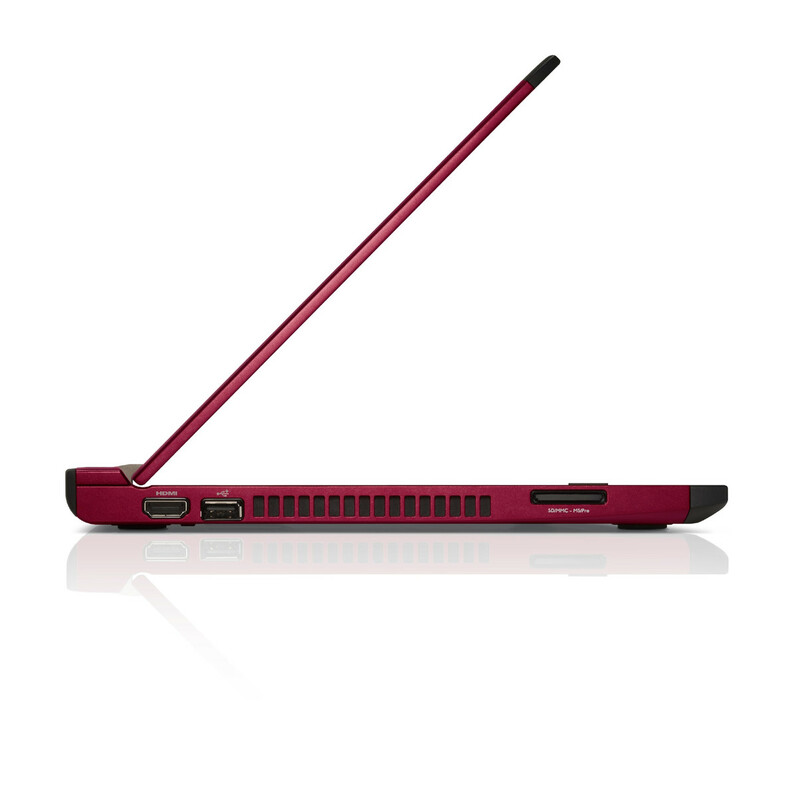 Starting form 419 euro the Vostro V131 is available with Celeron ULV CPU. 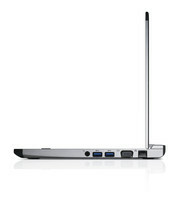 The Core i3-2310M model with 4GB RAM, a 320 GB HDD, Bluetooth and Windows 7 Professional costs 539 euro. 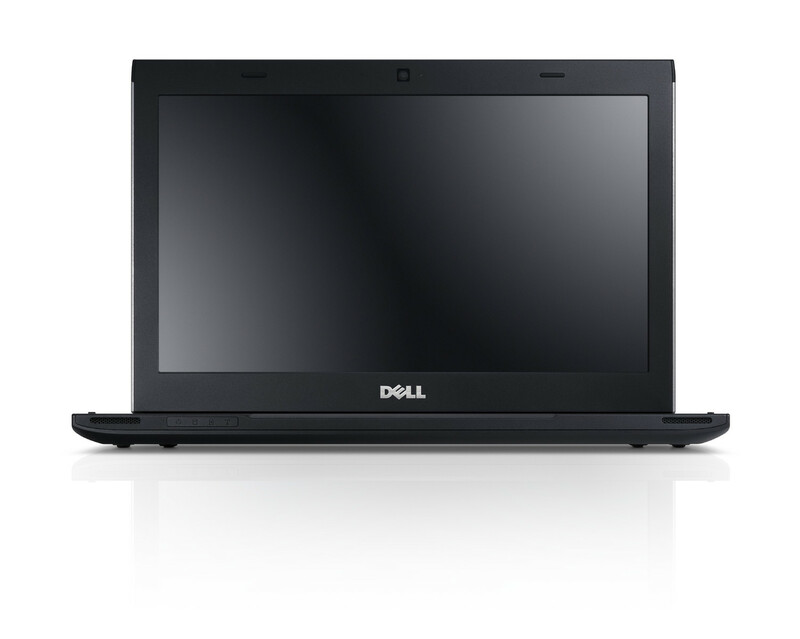 The same configuration, but with i5-2410M CPU, starts at 639 euro - all prices without VAT. These were our first results and impressions. 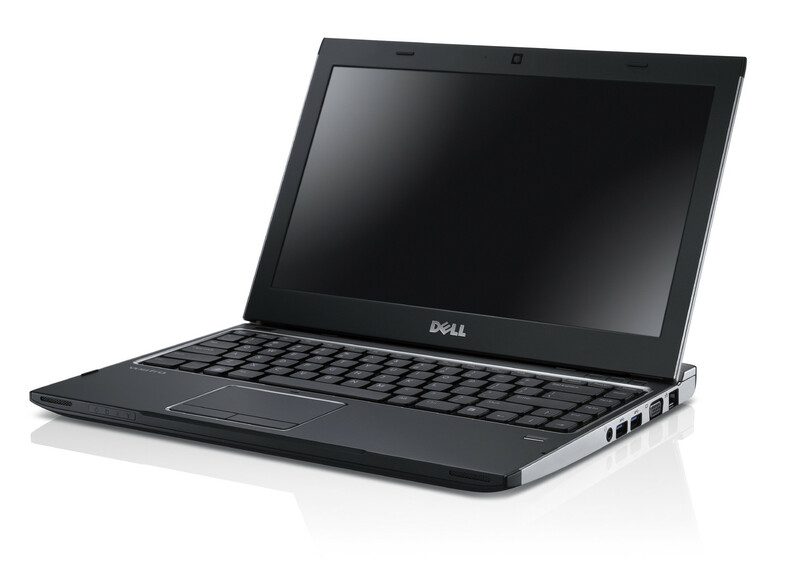 An in-depth test of the new Dell Vostro V131 will follow within the next few days.